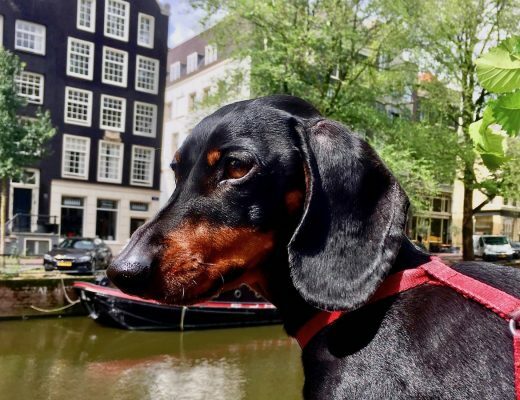 The UK has a number of vibrant cities and striking historical landmarks to explore, but before you embark on your UK tour with your four-legged friend in tow, you’ll need to make sure your chosen city has lots of dog-friendly facilities. As a dog owner it can be difficult to find the best spots that will accomodate for both you and your dog, but not to worry, I’m here to help! Below, are the top 7 dog-friendly cities in the UK with plenty of activities for you and your pooch to enjoy. Read on to discover which cities made the cut. 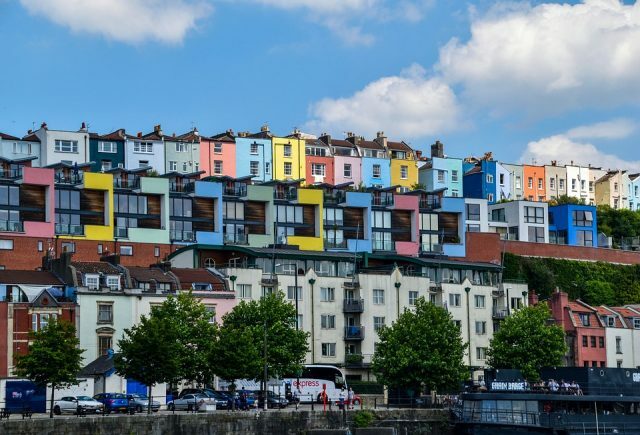 You won’t be short of dog-friendly locations if you decide to take a trip to Bristol, England! The city has a range of large parks and natural landscapes, including Greville Smyth Park and Ashton Court Estate. These will keep both you and your pooch entertained for the whole day. Must-See: Take a trip to the famous Cheddar Gorge for spectacular views and the perfect spot for a leisurely stroll with your dog. Before you decide to take on Cheddar Gorge don’t forget to treat your pooch to SuperDog from Vitabiotics, to give them a boost and keep that tail wagging. 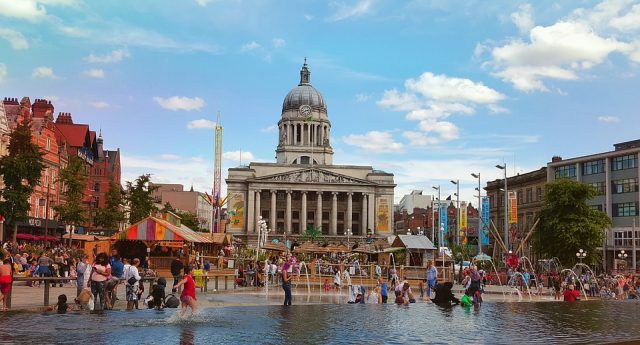 If you’re a fan of parks and open green spaces, Nottingham is the place to explore. Dogs are more than welcome in parks such as the Nottingham Arboretum, however, they must be kept on a lead. As for dog-friendly indoor spaces such as pubs and cafes, Nottingham has plenty! Visit The White Lion in Long Eaton for a cosy spot for you and your dog, complete with complimentary treats, biscuits and dog waste bags! 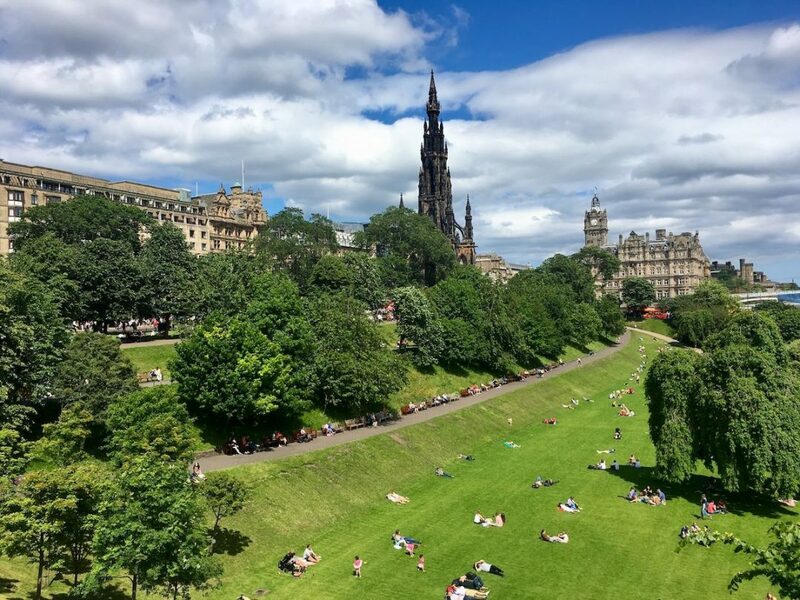 Edinburgh in Scotland is a stunning city that you won’t want to miss if you’re taking a trip around the UK. Dogs, or ‘dugs’ as the Scottish say, are welcome in a range of pubs, cafes, bars, theatres and even some hairdressers! Look out for a ‘dugs welcome’ sign to find dog-friendly places to visit around the city. 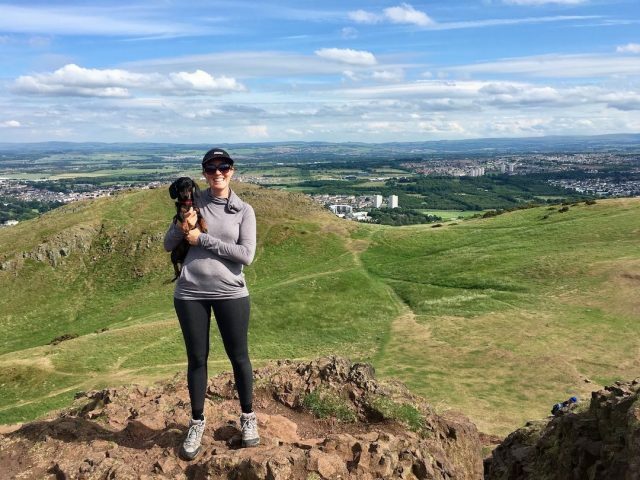 Must-See: Hiking to the top of Arthur’s Seat, the dormant volcano at the edge Edinburgh’s city centre, is perfect on a sunny afternoon, both for two-legged and four-legged visitors. Newcastle is a small but vibrant city that both you and your pet will enjoy. You can take a stroll around Leazes Park or visit the City Tavern in the city centre, which even has its own gourmet dog treat menu for your pooch! 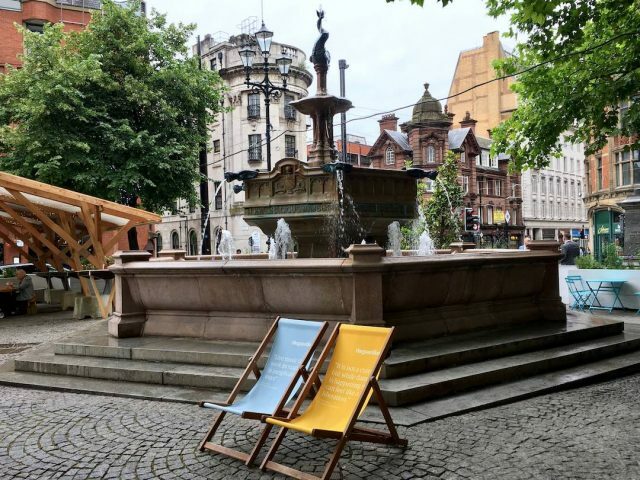 Manchester has great heritage, fantastic football and now it has a wealth of dog-friendly spots to visit with your pet! 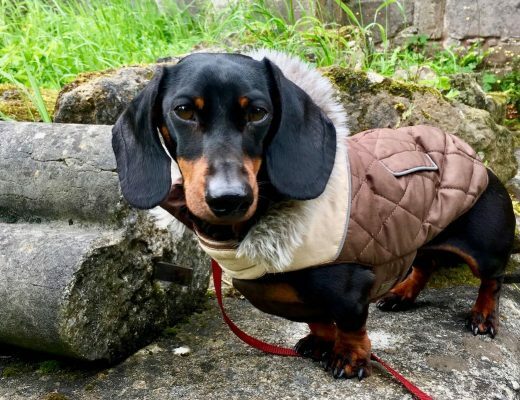 Here, you can enjoy boutique pet shops, pup-friendly gastropubs and large parks; so regardless of where you choose to go in Manchester, it’s likely that your dog can tag along come with you! Must-See: If you fancy a tipple, take your dog to the chic bar Cottonopolis for a selection of quirky cocktails. They’ll even provide a drink of water for your dog, too! If you’re looking for a countryside getaway with your pet, you’ll find a range of pet-friendly hotels and cottages to stay within this wonderful Welsh city. 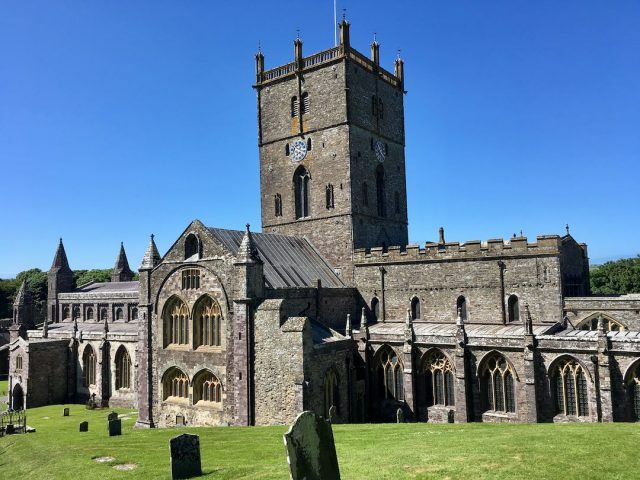 Opt for an overnight stay at the St Davids Cross Hotel and choose a day to spend at the historic St Davids Cathedral to make the most of your time with your dog in this quaint city in western Wales. 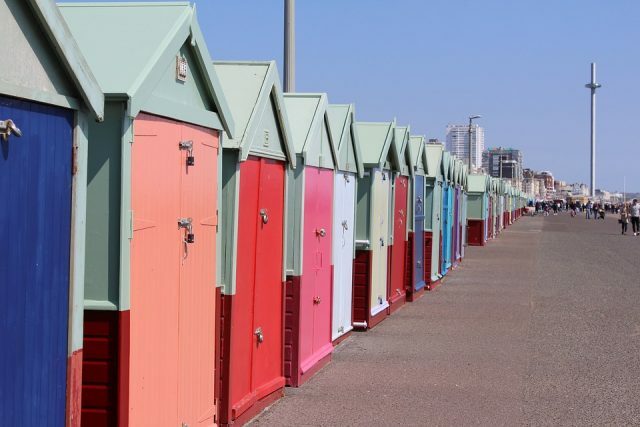 It’s hard to find an area of the UK as dog-friendly as Brighton and Hove, so this city is a must-visit spot if you’re looking to explore the country with your pooch. From beaches to pubs, bars and hotels, you and your dog are most likely to be welcome in all this places and many more! Must-See: If you’re in the area, don’t forget to take your dog for a stroll along Saltdean beach. However, it’s important to remember that dogs are not allowed on this beach between 1st May to 30th September. Thanks so much for spotting the error, not sure how that slipped through my proofreading. Hi I’m glad Newcastle made your list, as there are lots of options for dogs in the city, including the Wylam Brewery -Palace of the Arts at Exhibition Park, for example, a brewery tap, offering a huge choice of beers, and good food, and dogs are welcome at all times. Jesmond dene is a wonderful park in Newcastle for walks, and there’s a cafe too. Lots of the pubs (many serve food too) in the town admit dogs, and there’s an amazing new for this year ‘container’ street food market, and micro brewery and cafe on the quayside (Gateshead side) which is dog friendly – can’t comment on the hotels as I live here, but come and visit, we’re a friendly bunch in the North East, and you could combine your stay with a trip to Northumberland and your dog would love you forever! Thank you so much for the recommendations Vivienne, that’s a massive list!